One of the lures of ARPGs is character specialization via skill point distribution. In the Incredible Adventures of Van Helsing not only can players spec the main character, but companion character Katarina as well. The newest DLC for the game, entitled Blue Blood, adds a whole new skill tree for Katarina. Katarina's new skill tree is composed of eight new skills. Included in these skills are Chillwave (an aura that debuffs enemy movement, attack, and cast speeds) and Wraith Frenzy (increases Katarina's attack rate). 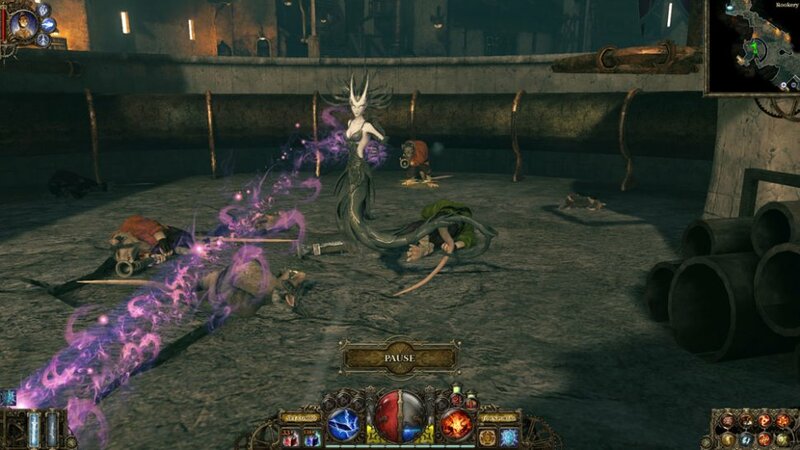 The DLC will set you back $1.99, and requires a steam version of the Incredible Adventures of Van Helsing. If you're not interested in Blue Blood, there have still been some free updates to the game's Scenario Mode. Two new scenarios have been added in the Croakwood and the Rookery, and a new reward system has been introduced. This reward system allows players to gain Glory points for killing monsters which can be spent on passive character bonuses. The Incredible Adventures of Van Helsing is available on PC, via steam, for $14.99. It supports 4-player online co-op.